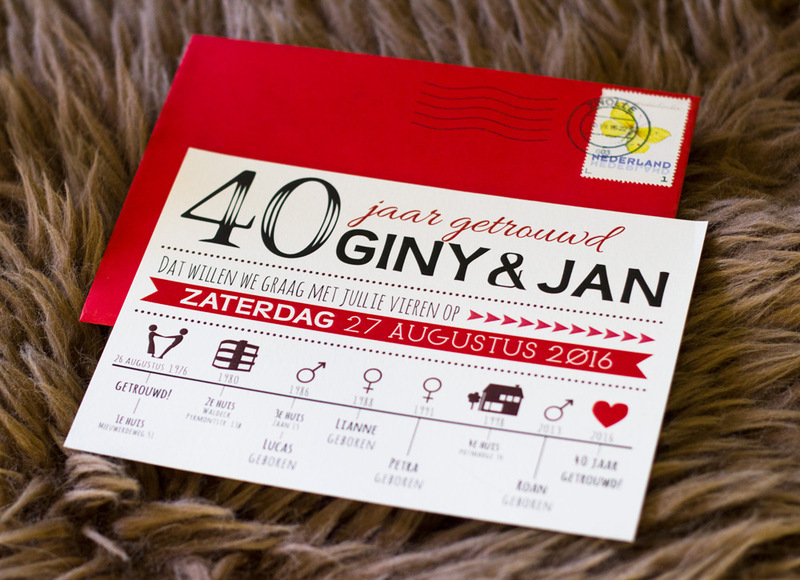 Giny and Jan asked me to design the invitation to the celebration of their 40th wedding anniversary. 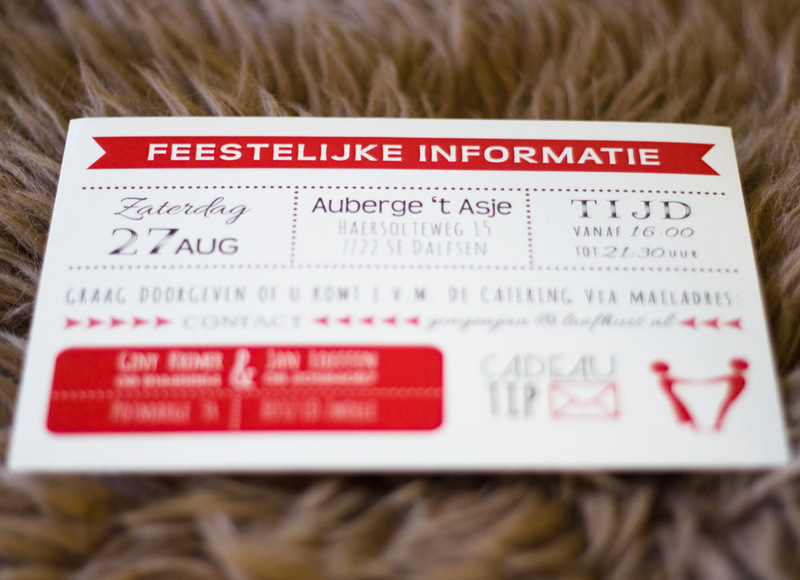 They were looking for an invitation that wasn’t too classic, had some creative typography, red as a detail color and it had to be festive to look at. The icon of the two people that’s printed on both sides of the card is their pose in the picture on their wedding invitation of 40 years ago. On the front side is also a timeline of some of the most important mile stones of their lives together.